Only an hour after they were installed at the Skyline Drive overlook on Oct. 9, new security cameras and motion detectors led to the arrest of teenagers using illegal substances. The viewing area off of Skyline Dr. can be accessed off of Red Apple Road. Four main cameras are situated on one post that provides a full view of the entire road and parking lot. The purpose of these new cameras was to resolve illegal incidents that take place. In the past many illegal incidents have occurred in the viewing area such as alcohol and drug use and robbery at Skyline and the surrounding areas. 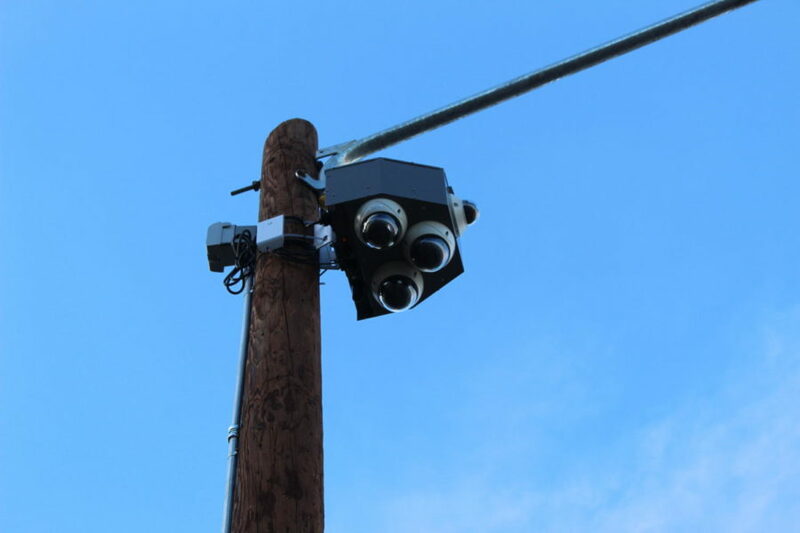 “The cameras are there to keep an eye out on the area that had been problematic for the surrounding houses and as a way to collect information if an incident were to happen,” said senior Sophia Dillon, student member of the Wenatchee Arts, Recreation and Parks Commision. Before the new security measures were installed, the viewing area had been a frequent source of illegal and disruptive activity. “I have been a resident of Skyline Dr. for 20 years. It has always been a popular place for all types of people. The park closes at sunset and opens at sunrise. My problem is people come when it is supposed to be closed and people break the rules and park there all night and blast their music from 1-3. They will stay up all night and wake us up in our house due to their music. We will have to call 911 sometimes, and they will send three cop cars and shut the whole thing down,” said Skyline resident Korey Rosvold. Student Resource Officer Jared Reinfeld was the first responder to the situation on the days the cameras were first in- stalled and saw first-hand what had happened. Four teenagers were found with marijuana and other illegal substances. Two of the students are facing charges. “Now we have the ability to check in and see who is going and see things going on. We found these kids within an hour of the cameras going on air, and we have multiple charges for marijuana and methamphetamine usage and also possessing them underage,”said Reinfeld.“Many of the kids are playing the odds, they have done it 50 times but only got caught once. I’ve had conversations with these kids, and they say they just don’t care anymore. That is the pretty disturbing part to hear from them,” he said. Police hope that the new security measures will deter students from engaging in risky behavior at the Skyline overview. “Historically, Skyline has been one of those areas that always have been a place to go where poor decisions are made. It’s not just drug use. We have had crimes all the way up to robberies happen up there. A lot of this comes up from the neighbors, because they are so tired of the garbage and the mess. I come up on a Monday morning after one weekend and there is garbage, alcohol bottles, marijuana, and vape products all over. My hope is that the new cameras will deter people from skyline that come for the wrong reasons,” said Reinfeld.